By Esser, Chuck, editor, Harvey Jackins, et al. Seattle: Rational Island Pub, 1985. Magazine. 104p. includes covers, 8.5x11 inches, articles, essays, news, opinion, services and resources, illustrations, very good magazine journal in stapled white pictorial wraps. Re-Evaluation Counseling. Jackins was a labor organizer who became involved with Dianetics and lifted some of the ideas, added his own jargon and created the RC. Seattle: Seattle Liberation Front, 1970. 39p., staplebound wraps, 8.5x11 inches, very good. Issued by the short-lived ('70-'71) Seattle radical group, copiously illustrated with underground cartoons, material on the Black Panthers, etc. SLF members (the "Seattle Seven"), including Weather Underground member Susan Stern, were charged with conspiracy to riot in famous political case of the era. Includes an article about member Michael Lerner, now a well-known progressive rabbi. Centerfold is a reprint of the Black Panther Party's manifesto, "The fascists have already decided to murder Chairman Bobby Seale in the electric chair. Berkeley: Plain Speech Press, 2012. Paperback. xv, 181p., glossary, very good first edition trade paperback original in pictorial wraps. 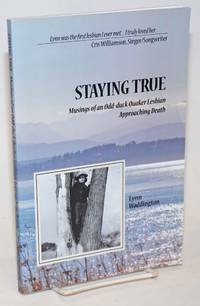 Written with her partner at the end of her life on Puget Sound. Alexandria, VA: Foundation for Retrovirology and Human Health, 2002. Paperback. 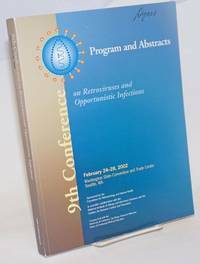 xiii, 382p., 8.25x10.75 inches, general information, program, abstracts, participant index, subject index, program-at-a-glance, floor plan of the Center, very good large paperback in wraps. 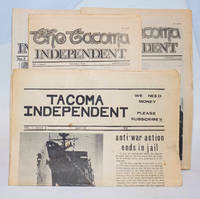 Tacoma: Tacoma Independent, 1972. Newspaper. 16p., 12p., 12p., 8p., folded tabloids, illus., lightly toned, one issue has a few small stains and a very small singed strip along some edges, otherwise these are all very good. Local lefty community paper halfway between underground and alternative. Vol. 1, No. 4 (Sept. '72), Vol. No. 7 (Dec. '72), Vol, 1, No. 9 (Mar. '73), and Vol. 2, No. 1 (Apr. '73). Primarily focused on local issues (Tacoma air pollution, etc.) with attention given to Native American matters in each issue (Indian Treaty Rights, Wounded Knee Report, etc.) as well as local strikes, UFW pickets at Safeway, etc. Seattle: Self-published by the author at Seal Press, 1984. Paperback. 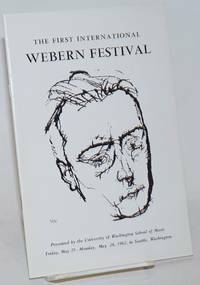 183p., personal inscription signed by the author/publisher, very good first edition trade paperback original in pictorial wraps. 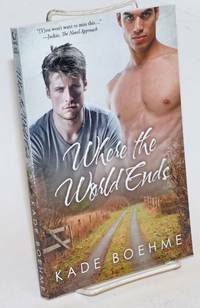 First in the series of lesbian mysteries featuring the author/publisher's alter-ego Pam Nilsen (they are both of Swedish descent, and are founder/members of a feminist publishing house/printshop in Seattle. Seattle: Self-published by the author at Seal Press, 1983. Paperback. 161p., personal inscription signed by the author/publisher, very good first edition trade paperback original in pictorial wraps. 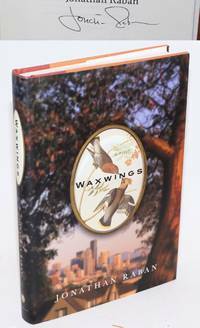 Stories by the self-published author at her own collective Seal press in Seattle. Seattle: Self-published by the author at Seal Press, 1981. Paperback. 125p., personal inscription signed by the author/publisher, very good first edition trade paperback original in pictorial wraps. Thirteen stories by the self-published author at her own collective Seal press in Seattle. New York: Pantheon Books, 2003. Hardcover. 282p., hardbound first edition in orange & terra-cotta boards and a dust jacket. An immaculate copy (in every respect) signed by author Raban on his titlepage. Seattle: Seattle Treatment Exchange Project, 1995. Magazine. 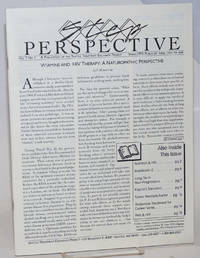 28p., 8.5x11 inches, medical articles, news, reports, services and resources, very good newsletter in stapled cream wraps. Articles on nutrition, Interleukin-2, long-term non-progressors, Kaposi's Sarcoma etc. 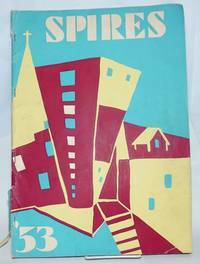 Spokane: Self-published by the author at Mistyc House Pub, 1997. Paperback. [1v] 328p. + 8p., 8.5x11 inches, preface, foreword, very good first edition manuscript format in spiral-bound black wraps with silver cover design and signed on the rear cover in silver by the author. Numbered in ink on copyright page as #447 of undisclosed limitation. This book was later published by Wolf Lodge as a trade paperback. Tacoma: Washington State Historical Society, 1962. Pamphlet. 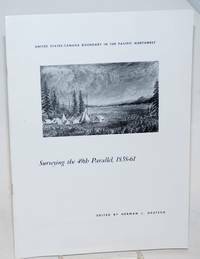 Reprinted from the Pacific Northwest Quarterly, Vol. 53, No. 1, January, 1962. Unpaginated preliminary text, 17p., a few period illustrations amongst a double-column text on glossy coated paperstock, staplebound. Spinefold is unobtrusively split at tail an inch or so, else sound and entirely clean and free of any markings; a good copy. 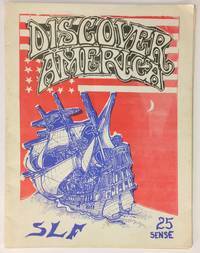 Pacific Northwest Historical Pamphlet No. 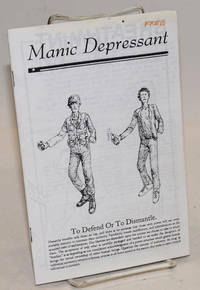 2 - Centennial Publication. [Seattle], 1920. 5.75x3.75 inch card, text on one side (partially crossed out), the other side with a miniature image of the painting, signed in pen by the artist. Tanaka, who had immigrated to Seattle in 1904, moved to Paris in 1920. The gatherings cited on this card appear to have been his final showings before leaving for France. Los Angeles: Los Angeles Free Press, 2000. Newspaper. 12p., folded tabloid, illus., untoned, light crease at cover corner, else very good. A late-breaking attempt to sustain the "Freep". This issue is almost entirely devoted to the anti-WTO demonstrations in Seattle and related groups such as the Ruckus Society and STARC (Student Alliance to Reform Corporations). Ad in the issue by editor Kunkin inviting readers to take his class in becoming enlightened. 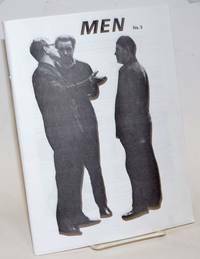 This iteration of the famed underground paper apparently encouraged the homeless to sell copies to support themselves. 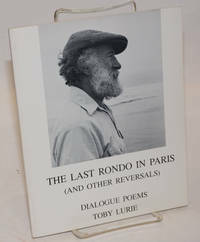 San Francisco / San Jose: Journeys into Language / Laughing Bear Press, 1983. Paperback. 76p., 6.75x8.5 inches, signed and dated 2017, very good first edition trade paperback in white pictorial wraps. Fullerton CA: the zine. Unpaginated, about 35p., zine format in 8.5x5.5 inch stapled wraps; printed in smallpoint, texts copied clearly and disposed in single, double and triple-columns. A faint touch of rust to staples, handwritten word "free" on cover, clean and sound. Throughout, the editor explains himself and the USA and invites comment directed to a Fullerton address; also find numerous record reviews, mostly newborn punk band releases. Dated from content: "Y2K is coming!" 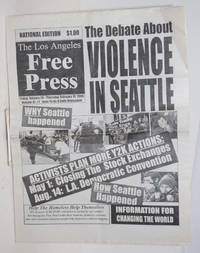 and a five-page backstory (smallpoint, doublecolumn) on a 1999 squat accommodating resisters to the WTO in Seattle. Seattle: ParaTheatrical Research, 1994. Five issues of the tabloid newspaper-format journal, pages toned, one issue with a closed tear at the outer edge of the fold. Numbers present are vol. 1 no. 2, vol. 2 nos. 1 and 4, vol. 3 no. 2, and vol. 4 no. 2. Mixture of local arts and poetry with some neo-Pagan material.